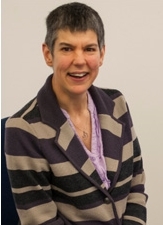 Congratulations to Professor Annalu Waller, Chair of Human Communication Technologies at the University of Dundee and associate member of SDHI, who has been awarded an OBE for her services to people with complex communication needs. Congratulations also to Professor Paul Boyle (founding Director of SDHI) and now President and Vice-Chancellor of the University of Leicester who has been awarded a CBE in recognition for services to Social Science. The Commander of the Order of the British Empire (CBE) is awarded for having a role at national level, or a leading role at regional level, and for a distinguished, innovative contribution to any area.